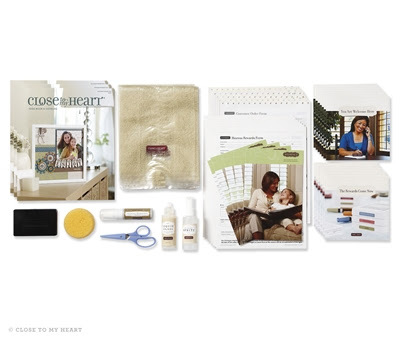 CTMH's brand new Consultant Kit is now just $49 and is filled with over $130 in great new products! At a savings of over 50% off retail, you can't beat that deal! (Some items may not be shown in photo - contents subject to change without notice). Great, great value for your $49!!! Once you'll sign up - - you'll have access to so many consultant benefits including a great product discount. You can read all about the benefits HERE and some FAQ's HERE. (Some items may not be shown in photo. Contents are subject to change without notice). But it gets even better than that . . . starting August 1st at 9am (that is this Wednesday morning!) - while supplies last, with your purchase of EITHER the Essentials or Master Consultant Kit, you will ALSO get this fabulous tote bag absolutely FREE (retail value $50) and at no additional shipping cost!! This is the same great bag that consultants attending convention received this year & let me tell you - I LOVE this bag! You can wear it as a shoulder tote, a messenger bag, or as a backpack and all of the straps are removable. It is made of coated canvas - so you can just wipe it clean. 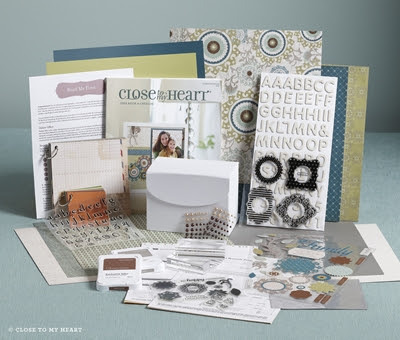 The bag fits 12x12 papers - even an album - so is great for crops or on-the-go scrapbooking! 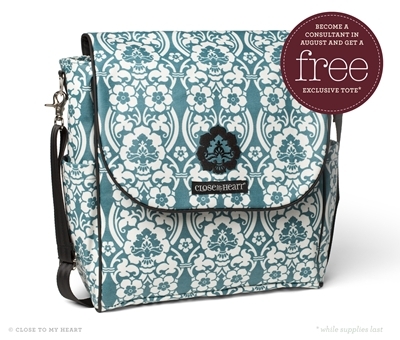 There are limited supplies of this great bag available to give away - - so you'll want to set your alarm for 9 am on August 1st - - bookmark the NEW CONSULTANT sign up page HERE - - and be ready to get in on this great deal! If you have any questions about being a CTMH Consultant or about joining my Creative Canadians team - feel free to send me an EMAIL - I'd be happy to get back to you!